As well as being a bold and funky statement piece, this Rocket Coffee Table gives us a great reminder: it’s okay to be a kid no matter what your age is. 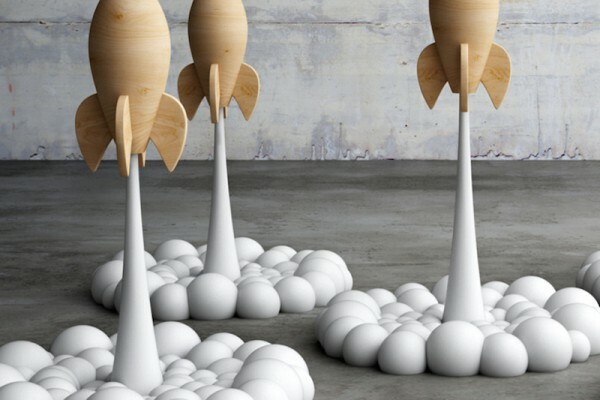 Created by Cyprus-based designer Stelios Mousarris, the Rocket Coffee Table is a great combination of fun and good design. The tables are finely crafted using a combination of techniques – from lathe to 3D printing, resin casting and traditional hand curved pieces. The table aims to recreate the feeling of carefreeness and nostalgia that comes with childhood, so not only will your kids love that their place has the coolest coffee table on the block (or in the galaxy), but my guess is you’ll be pretty keen to invite your friends around to see it as well. Possibly the most fun part of the table is that the rockets aren’t attached to the glass top – so you and your kids can design the structure yourself. Plus, when your kids are a bit older the table would be a pretty great addition to the offices of their tech start-up (just in case you’re thinking about future options). According to Mousarris, the table is fashioned ‘to draw a smile on the face of nostalgic adults, children and children trapped in adult bodies’. I’m not 100 per cent sure which category I fit in, but it definitely put a smile on mine. 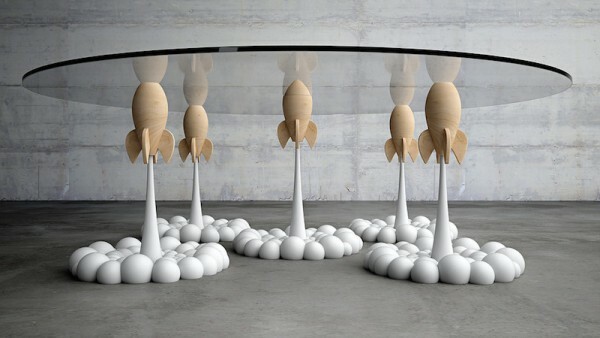 The Rocket Coffee Table is available to order directly through Mousarris for €5000.